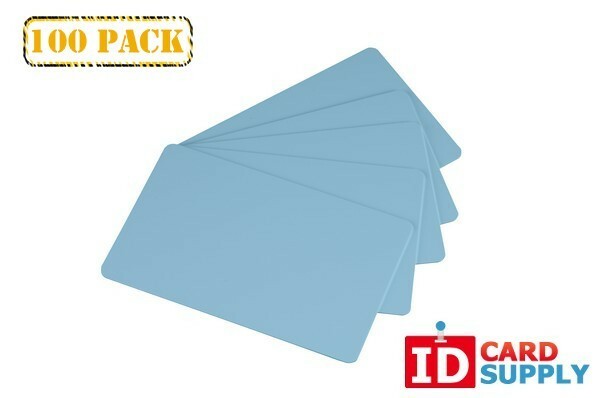 IDCardSupply brings you these Light Blue PVC cards conveniently bundled in a pack of 100. The cards are standard Credit Card CR80 size and 30 mil thickness. Compatible with just about any card printed these cards will hold a high quality image at an affordable price!